(1879-1962) Landscape painter, etcher. Born in Memphis, TN on September 21, 1879. After three seasons as a pitcher for Memphis and Nashville clubs, Otis abandoned a promising baseball career to pursue art. He first studied art at age 14 at the Art Institute of Chicago followed by work at the Pennsylvania Academy of the Fine Arts and in New York at the Copper Union, National Academy of Design, Art Students’ League, Brooklyn Academy, and with Robert Henri, William Merritt Chase, and John F. Carlson. While based in Chicago, he traveled extensively, often in the company of Thomas Moran. Early in the century he lived in Colorado, Taos and Santa Fe, New Mexico. After moving to Los Angeles in 1919, he established a studio in Burbank where he worked for the movie studios. In his leisure he made frequent painting trips to the Indian reservations of New Mexico and Arizona. 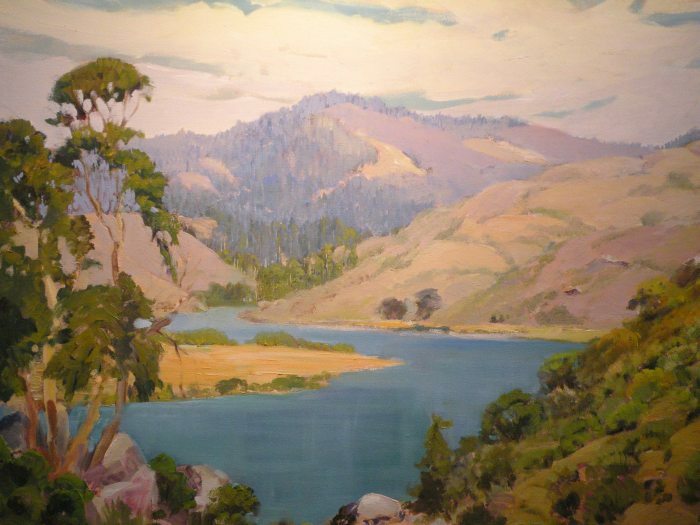 Moving to San Francisco in 1930, he established a studio in the former Arthur Putnam home and in 1934 moved across the Golden Gate to Kentfield. He taught hundreds of students during his lifetime, however in 1939 he stopped teaching to devote his last years to paintings. Otis died at his home in Kentfield on February 25, 1962. Works held: White House, Washington, D.C.; Smithsonian Institute; Orange County Museum; Irvine Museum; Art Institute of Chicago; California Historical Society. Member: California Art Club; Palette and Chisel Club, Chicago; Laguna Beach Art Association; Salmagundi Club; Marin Society of Artists; Painters and Sculptors of Los Angeles.